Earlier this year my husband and I, plus our 2 small children (Esme, aged 4.5, and Cormac, aged 6 months), had the opportunity to embark on a 2-month once-in-a-lifetime trip across South America. After our first stop in Buenos Aires, we took a week-long side trip to Uruguay, just across the Río de la Plata. Everybody said it was easy to do, and so it proved. 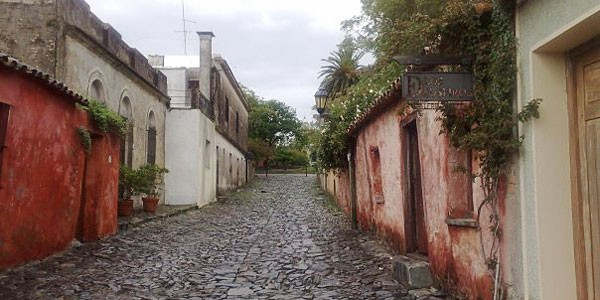 Book your Buquebus ticket a day or so (or more if you’re organised) in advance, and then take the 50km, 1-hour ferry across the dulce-de-leche-coloured estuary to the charming colonial town of Colonia del Sacramento. Founded in the 17th century, its original city walls and a couple of cannons are still visible at the entrance to the Barrio Histórico, now preserved as a UNESCO World Heritage site for its wonderful Portuguese and Spanish architecture. We stayed at lovely Posada Plaza Mayor, which is right in the heart of the old town. 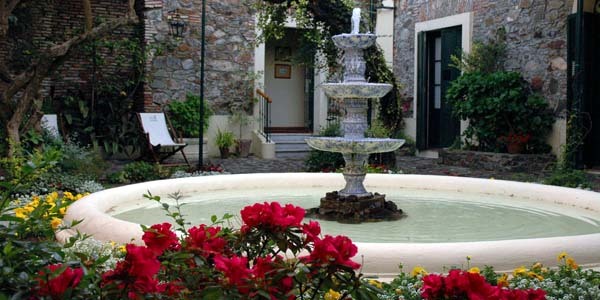 Rooms, many of them with original 200-year old walls, are arranged around a gorgeous bougainvillea-draped courtyard with a fountain. 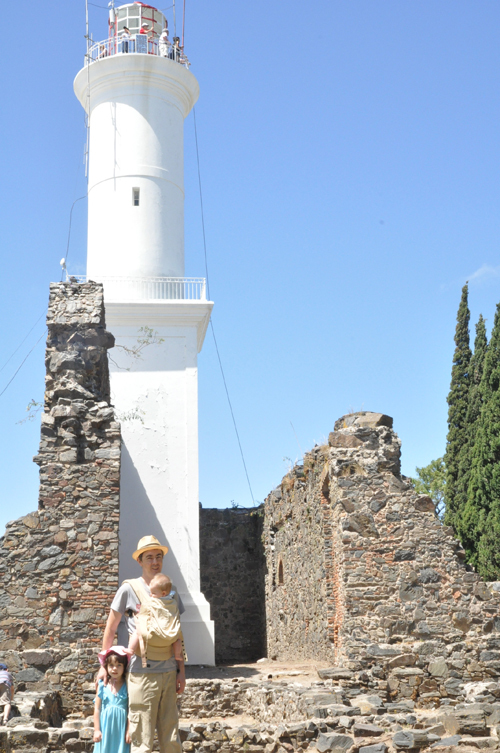 Our days were spent strolling around authentic cobbled streets (ladies, don’t even think of bringing heels, parents don’t unfold the stroller), soaking up the relaxed atmosphere, visiting the local museums (Esme liked the one with dinosaur bones, stuffed birds and a whale skeleton the most), and climbing the lighthouse for superb views down the coast. 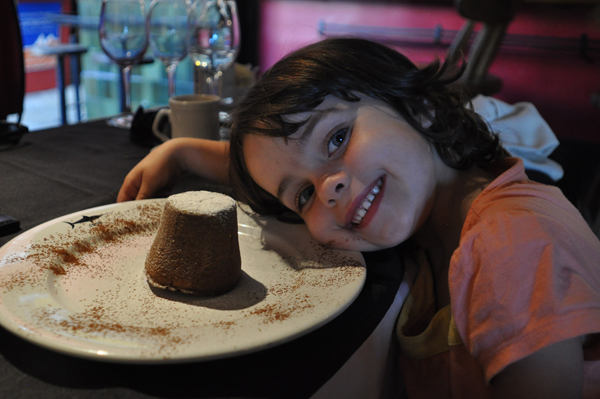 There are plenty of lovely restaurants in Colonia, and we sampled a fair few. Eating late proved to be a bit of a struggle with the baby, so my husband and I would eat in shifts, while the other held our son. Reluctantly, we bade farewell to Colonia and headed for Uruguay’s capital, Montevideo, on the public bus, which took about an hour and a half. 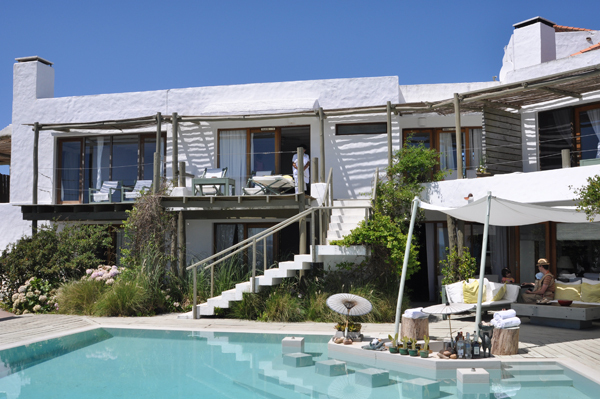 Our final destination in Uruguay, also easily reached by bus on a 2.5-hour journey from Montevideo, was one of the highlights of our time in South America – Jose Ignacio. Billed as the next Punta del Este, it’s a gorgeous chi-chi village on a small headland, blessed with glorious beaches on either side. Here the crème de la crème of Argentinian and Uruguayan society convene every summer – you could call it South America’s more laid-back, much smaller and less pretentious answer to the Hamptons. We loved staying at La Posada del Faro, a private summer home turned boutique guesthouse, where white-washed rooms overlook a pentagon-shaped pool and views stretch over the beach below to Punte del Este in the west. Service is immaculate. I went on an early-morning birding excursion to the local lagoon for herons and fork-tailed flycatchers, and we had memorable grilled fish and fries at La Huella, THE place to be seen (luckily, we had a reservation). 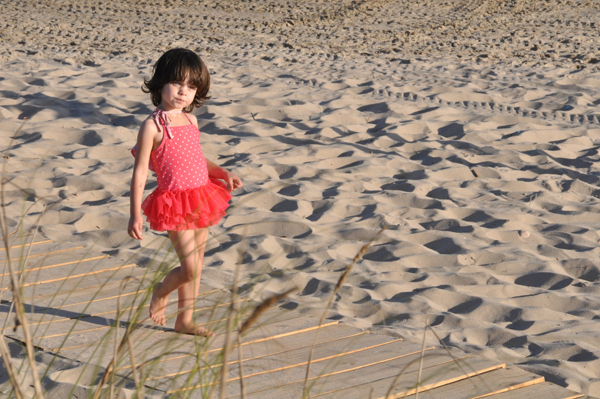 But best of all, La Posada del Faro operates a beach club during the summer, which we took full advantage of. We met up with another family, lounged on muslin-draped daybeds, drank cocktails (caipirinha for him, tropical fruit juices for her), ate the freshest of fish, and watched the glowing sun sink into the ocean every evening. Next stop: the Andes in the far northwest of Argentina.